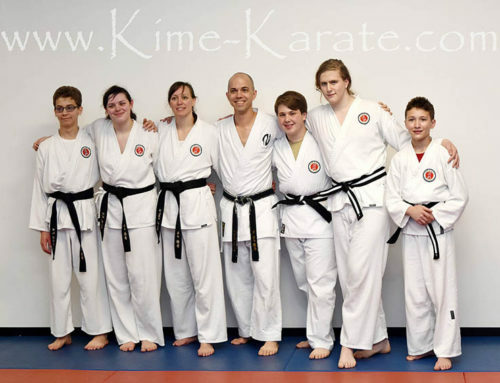 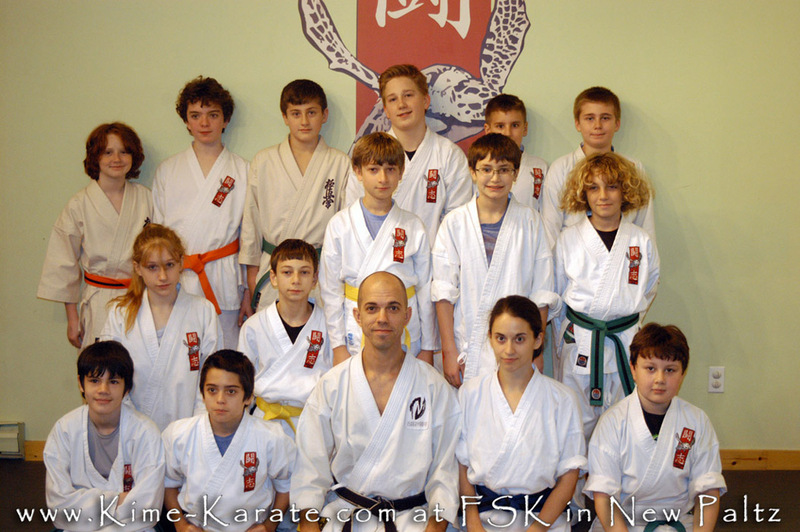 Sensei Keyes was invited to teach a series of seminars at Fighting Spirit Karate Studio in New Paltz, NY. 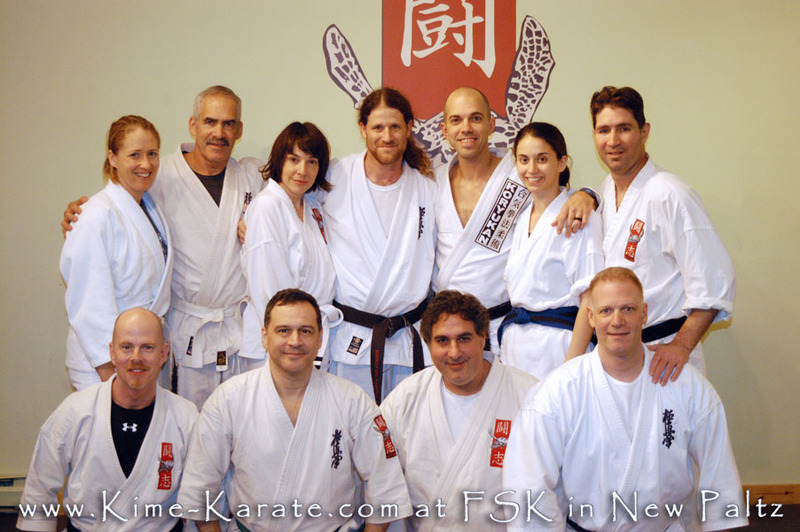 He taught three separate seminars, two on striking, take downs and ground control and a kobudo seminar introducing the school to the Yamane Ryu kobudo system under Hanshi Patrick McCarthy. 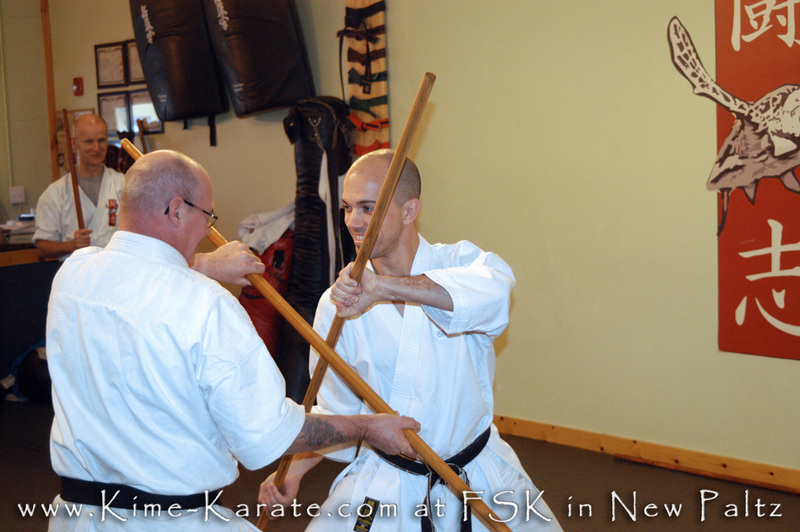 The adult seminar covered an introduction to take downs and ground control for strikers. 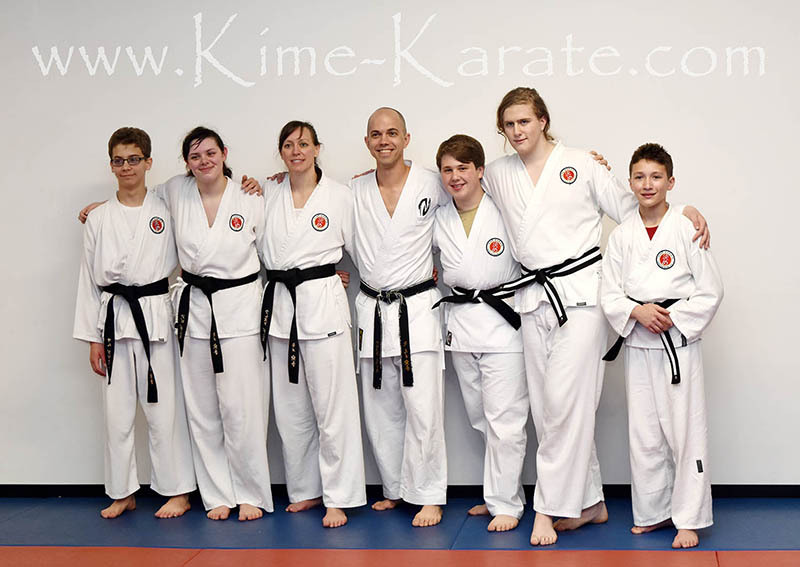 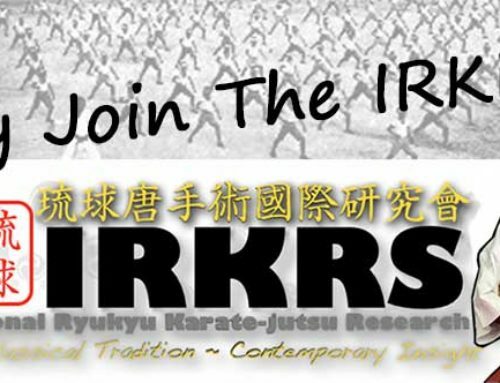 Many of the adult participants had many years of experience in multiple styles of martial arts. 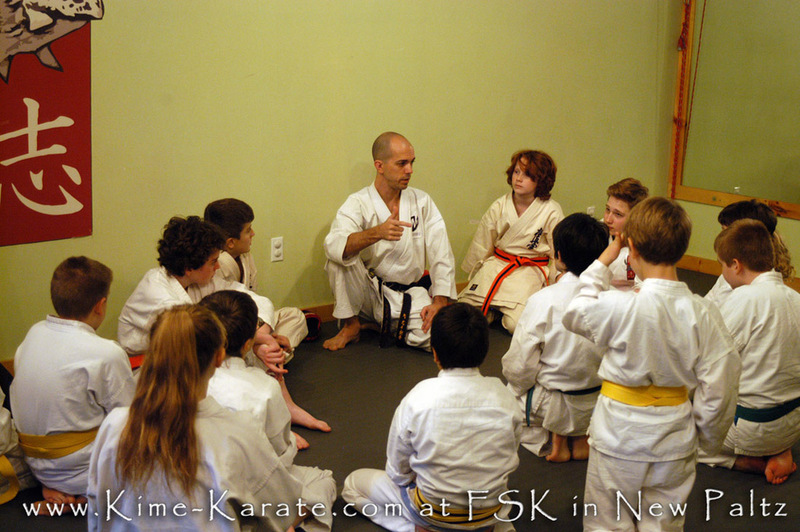 Everyone was very open to new ideas and excited about how Sensei Keyes brought together the karate and jujutsu concepts. 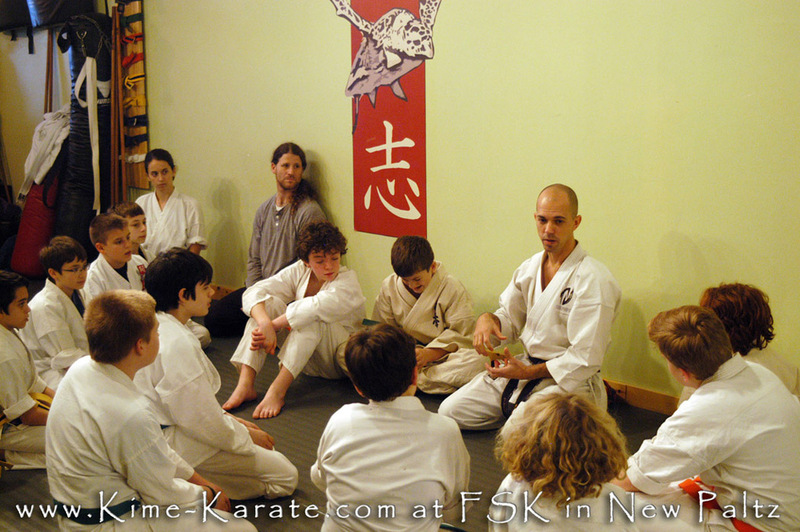 The kids seminar was a fun and exciting approach to take downs and ground control. 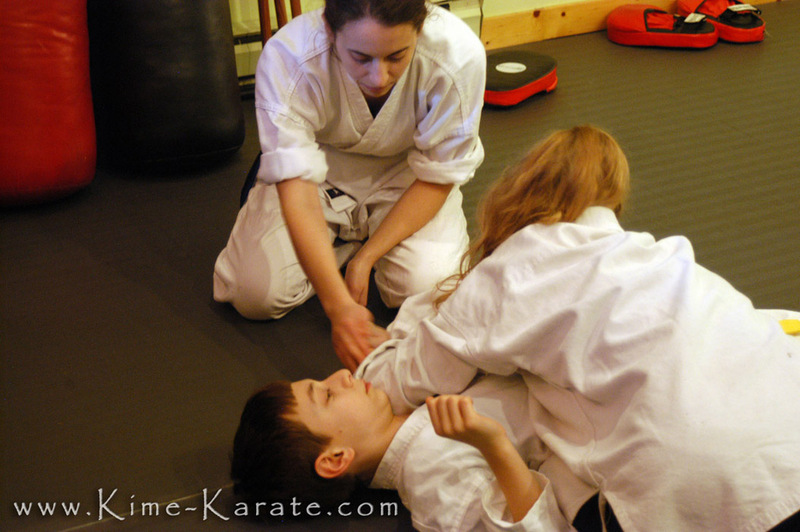 Slightly different than the adult seminar, kids worked in spinning kicks to bring their partners to the ground. 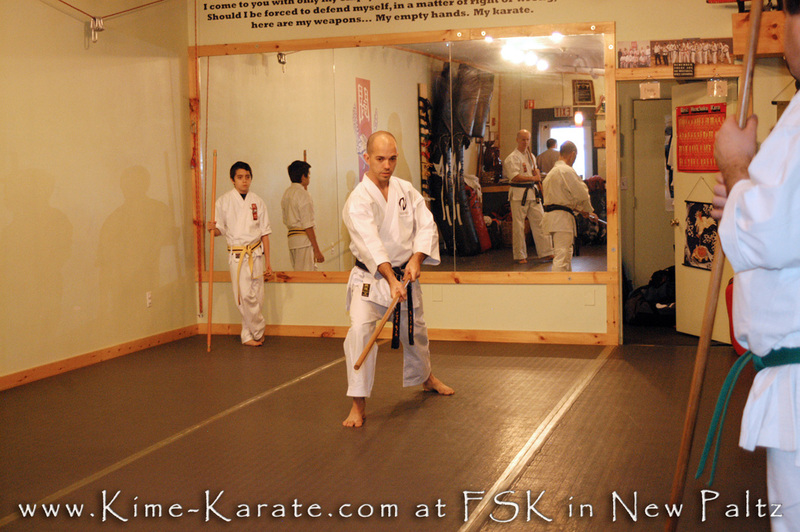 Fun concepts and using the striking techniques the kids already knew to add another dimension to their practice. 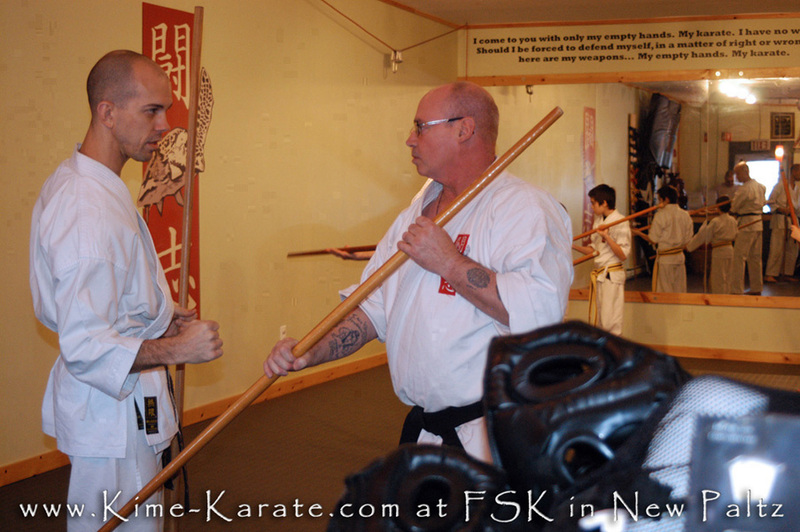 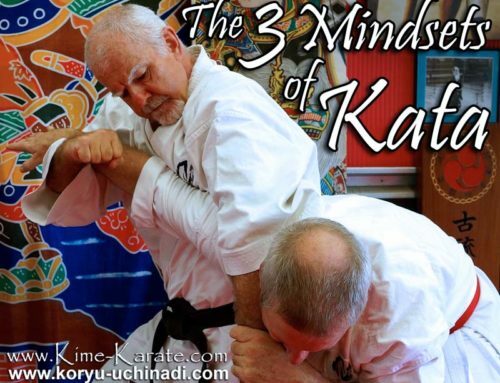 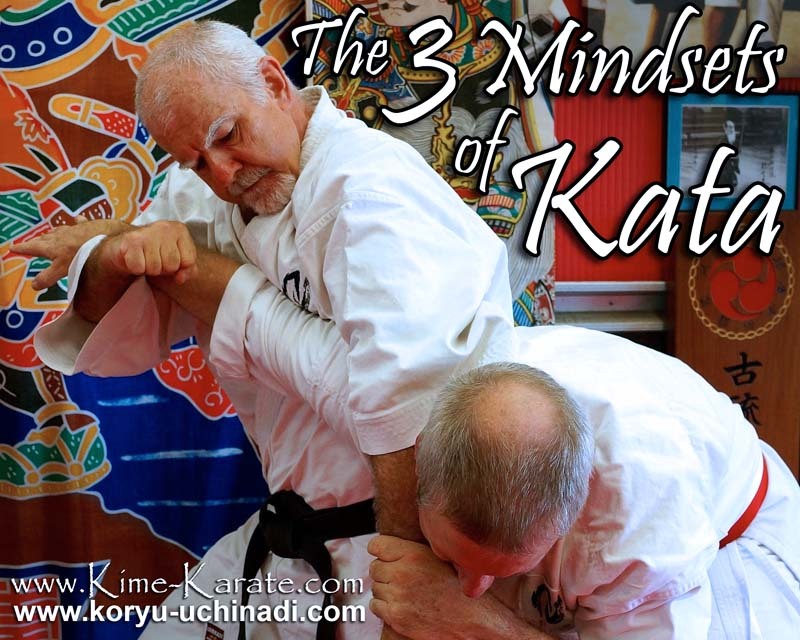 Different than the Matayoshi kobudo that this school teaches, Sensei Keyes introduced them to the Yamane Ryu Kobudo as taught under Hanshi Patrick McCarthy. 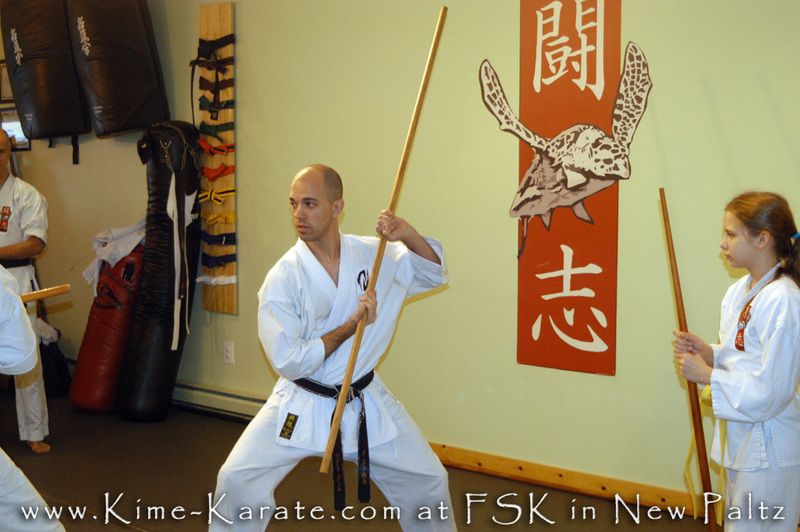 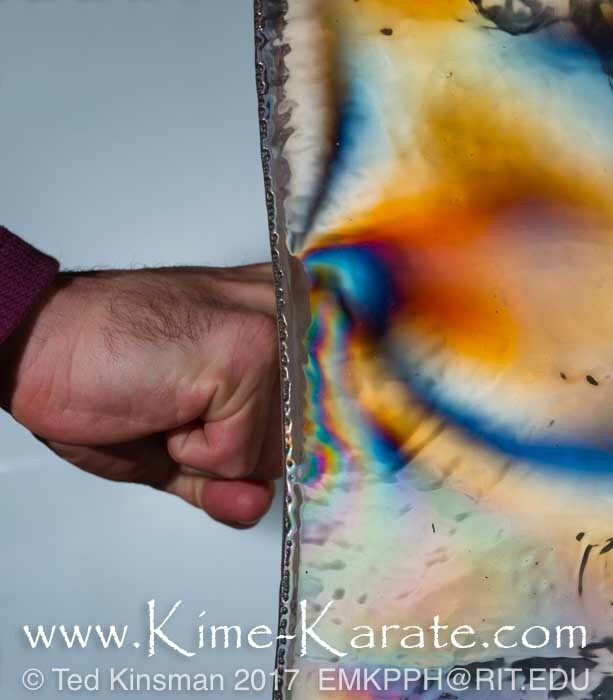 A traditional Okinawan style of kobudo that is characterized by it’s fluid, powerful motions and utilizes the complete length of the bo through the dynamic and functional practice. 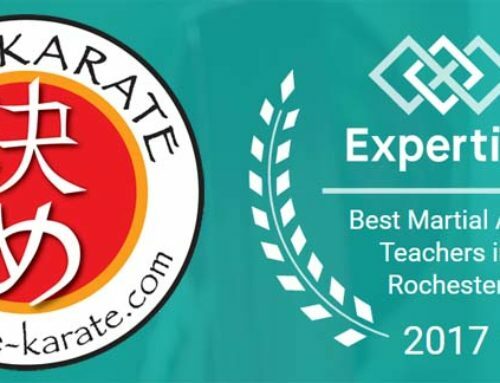 If you have a martial arts school and would like to schedule a seminar at your school, feel free to contact us for availability.